Fermata Town is a Boston-based mixed vocal band and a proud member of the Contemporary A Cappella League (CAL). 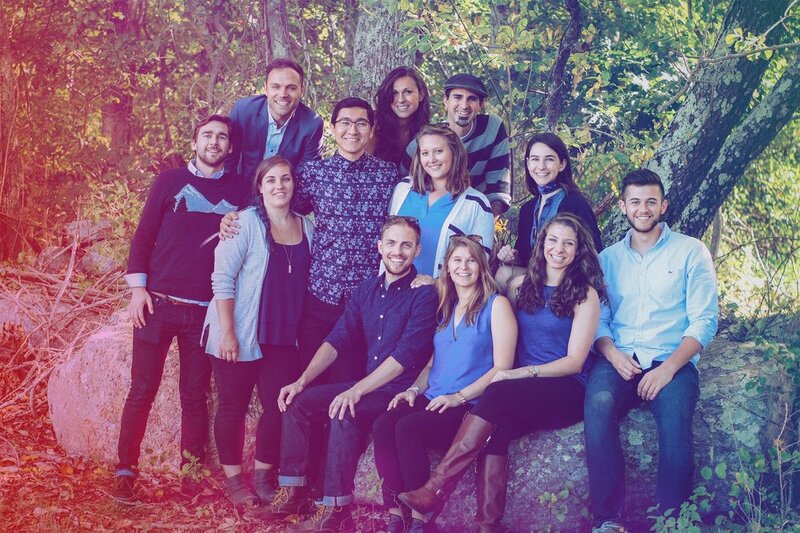 Since their founding in 2009, the Townies have made a name for themselves in the a cappella community, recording multiple award-winning albums while competing and placing in several competitions including the National Harmony Sweepstakes and WGBH's Sing That Thing. They’ve been featured on national news programs and radio shows, and have partnered with organizations from Universal Pictures to the Alzheimer’s Association. They’ve participated in and performed at national and international festivals such as the National A Cappella Convention (NACC) in Memphis, Tennessee, the London A Cappella Festival (LACF) in the United Kingdom and SING! Toronto in Canada, bringing their passion for vocal harmony to new communities far and wide. Above all, the Townies pride themselves on their original, in-house arrangements and unique sound that melds pop and jazz. Covering musical artists as varied and complex as Stevie Wonder, Justin Timberlake, Jazmine Sullivan and more, Fermata Town infuses their repertoire with unexpected yet distinctive musical elements. A bit of Latin flair added to the latest Kelly Clarkson song; a trio of trumpets in a rollicking rock ballad by The Black Keys; a reimagined version of a beloved Beatles classic that captures the lyrical essence in a new way. It’s Fermata Town’s signature style. It’s contemporary a cappella—with a twist. Comprised of 12 singers from varying backgrounds and career fields, the Townies strike a healthy balance between their music and active lifestyles as full-time working professionals. They’re a close community of friends and family, brought together by a shared passion for making music that moves the soul. Visit Fermata Town's Awards and Accomplishments page to see what the Townies have been up to over the years.